I believe I found the connection (picture below). I wasn't familiar with this connection type, but after googling a bit, I believe it's an F connector (would love some verification on that if anyone knows?). 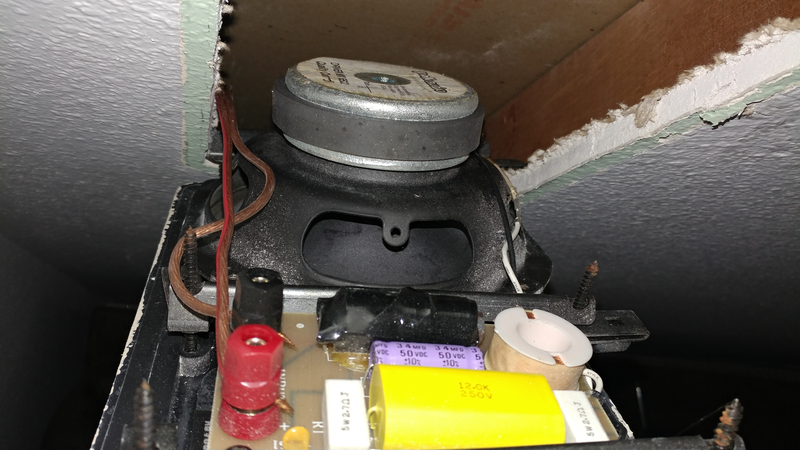 Also, I noticed there are three connections but I only found two speakers in the wall. Does anyone know what the third connection might be? I'm very new to the audio world and currently just use a soundbar with my TV. How would I go about connecting an amazon fire TV to these speakers? Would I need something else between the fire TV and the speakers? Those are F coax connectors. IF those truly were wired to the speakers, the third one likely is just a cable connector for TV. 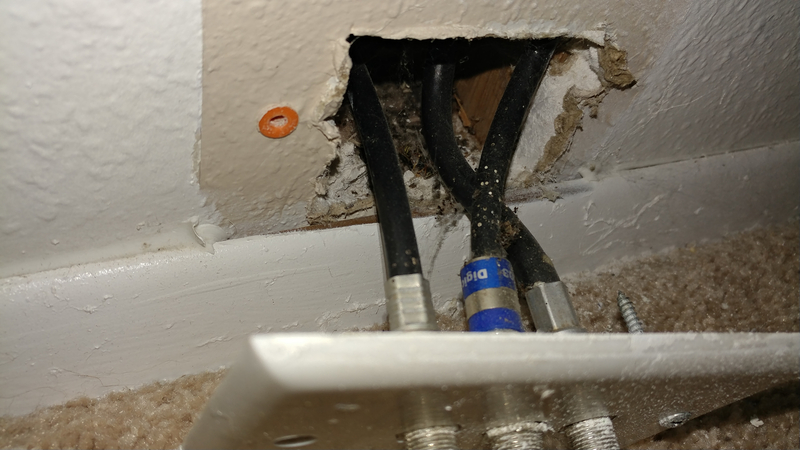 If someone was using coax cable for speaker cable they had no idea what they were doing. Go es'plore that house a bit more! It's yours now! Start by pulling that coax face plate off to see what's behind it! I think those speakers' wires probably pop out somewhere else. You got attic access? Crawlspace? How much money do you have, anyway? However much it is, if you hang out here for long, it'll be a lot less in short order. No matter what your plans or budget, you'll need a 200wpc amp and good cables. All speakers need to be timbre matched too. I have no clue where else the could connect, the rest of the plugs are just electrical outlets. 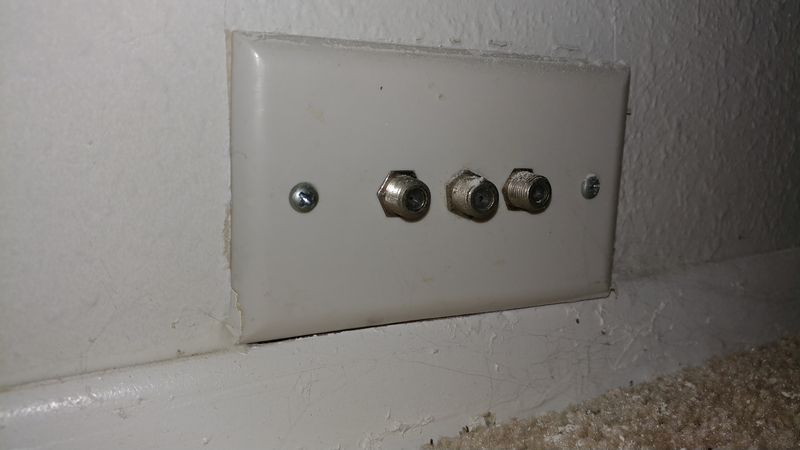 Also, this is behind that three coax faceplate. Two appear to run up and one runs down. 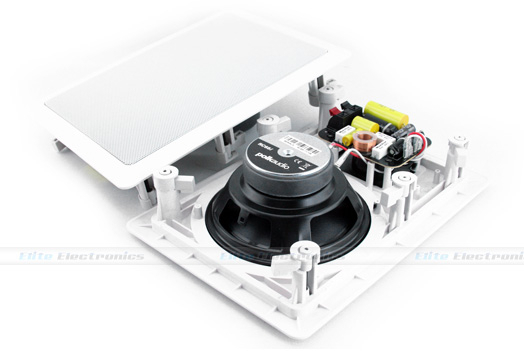 You will need to remove a speaker to see if they used coax for wire. 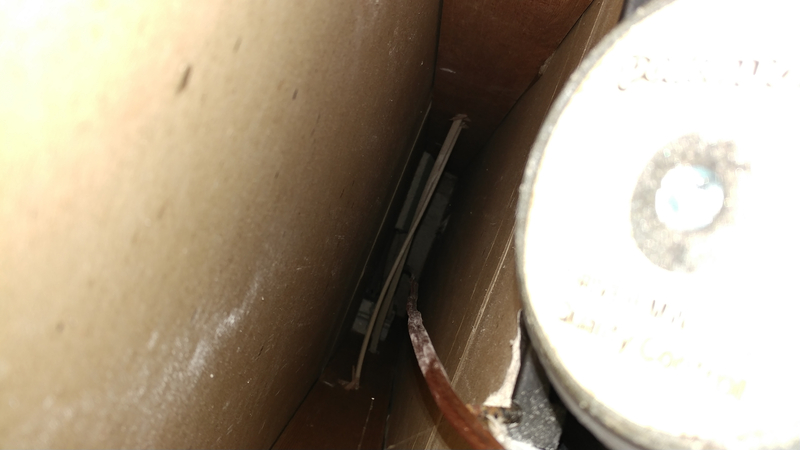 You should be able to pry the metal cover off with a small blade and the mounting screws are along the outside edge of the front baffle and they should unscrew to move the keepers from behind the sheetrock. You should be able to see how they work with this photo. At least that's speaker cable, not coax. The crawlspace has ripped up insulation hanging down all over unfortunately, I'll have to start fixing that before I can get to where that cable runs down to. But, shouldn't there actually be somewhere to plug into inside? 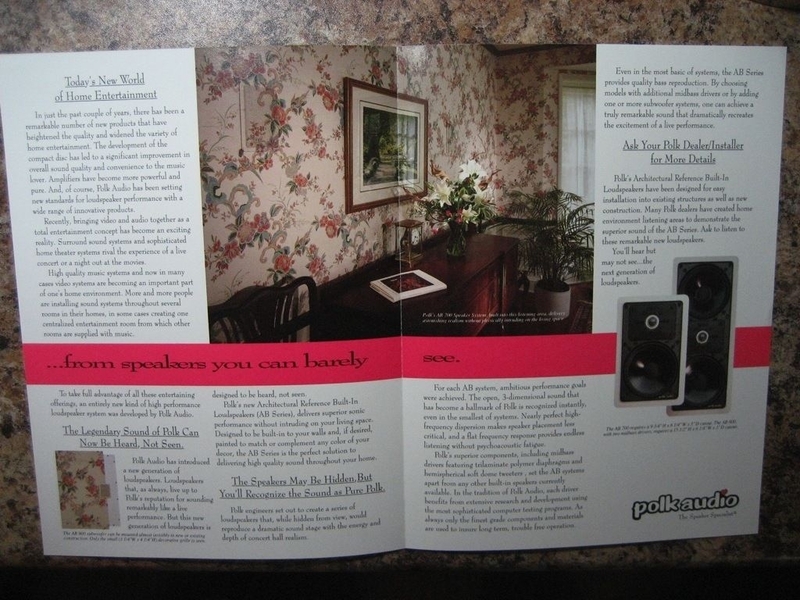 Probably easier to just sell that house and get another one that's easier to find the speakers wires in. Nothing else standing out, I presume? 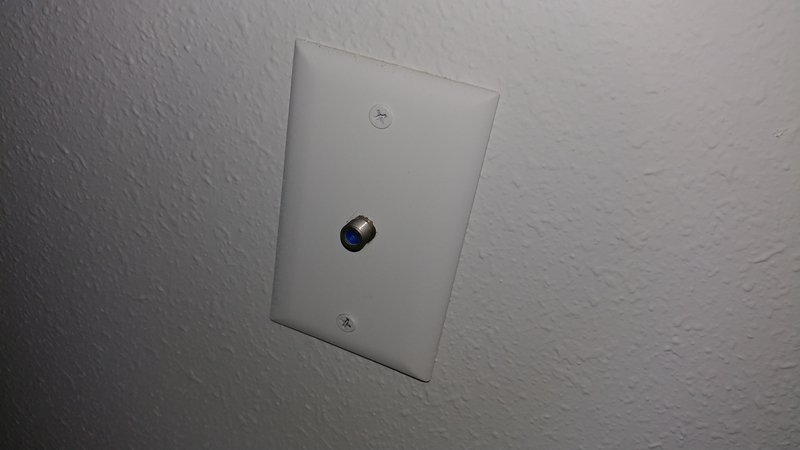 No other places with weird wires or faceplates, etc.? If nothing obvious there, then another room perhaps that might have housed a main system/AVR? Any panels, mantels, etc.? Nope, nothing else in the room besides those two coax plates and some electrical outlets. I did find this in a closet in the room next to it at the top of one of the walls, no clue what it is. Does this seem like anything related? That looks like a door bell solenoid. 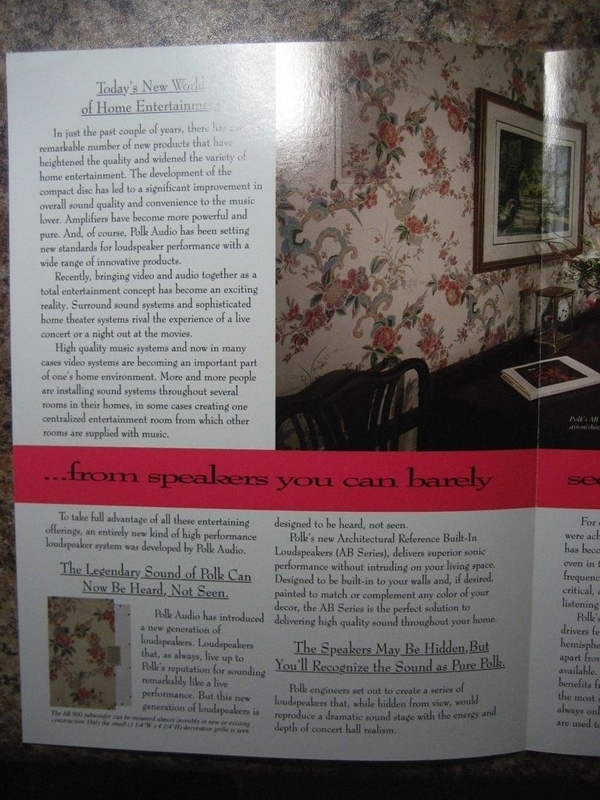 This might provide some info about the speakers for you. my thoughts were AB700 as well. Remove the grills and post another pic and we can figure this out. If you zoom in on his one pic, the driver is labeled MW6512, but I think what he's really looking for is the other end of the connection. 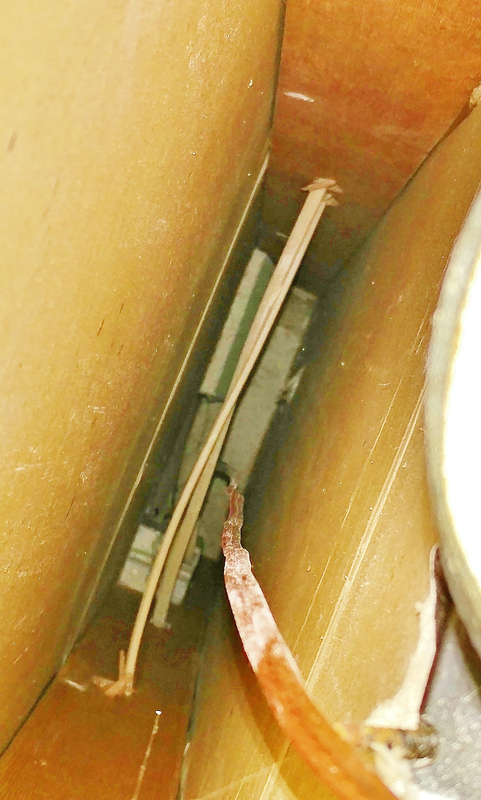 It was most likely a diy homeowner job, since that wire doesn't look to be the typical in-wall type. 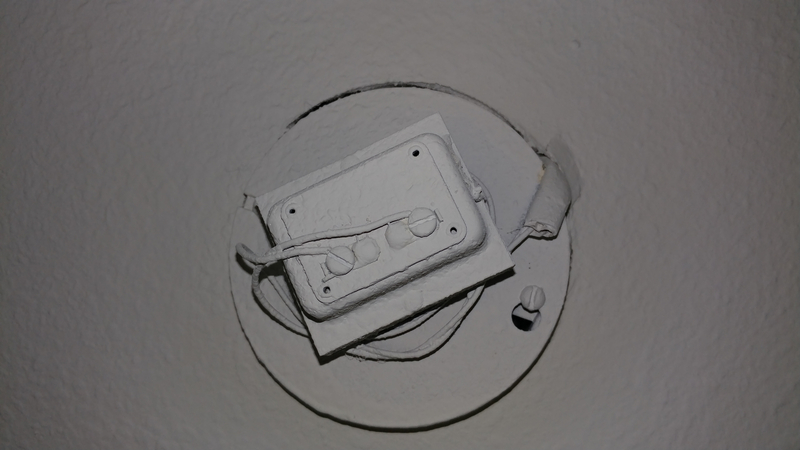 Seeing how that doorbell plate was spray painted over, I'll bet a $1 that some home fixer upper pushed the stray speaker wire ends that hooked up to a receiver back into the wall and SPACKLED over the opening and then repainted that room. I'll bet that's what happened ! look on room on other side of wall from where the wall speakers are. Near the baseboard, look for if the drywall was patched etc. not much to see, does the wire move if you pull on it? Wow... that wire looks jacked. What a dilemma. Maybe you should start over from scratch with new wire. I feel your pain. Toldja it wouldn't be long before we started spending your money. 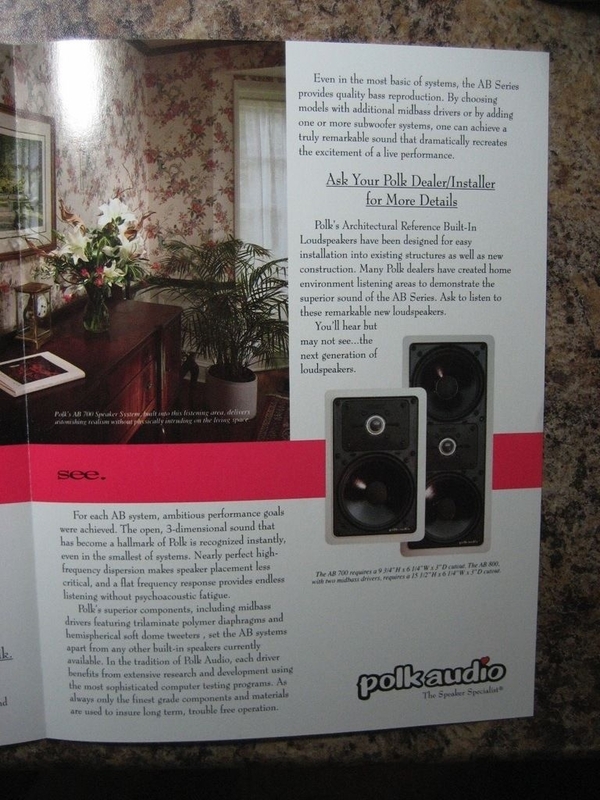 Those speakers could probably use a crossover rebuild, I think. Probably not, but might as well while you're in there. But yeah, just run new. *depending on who you talk to. Is there a basement or crawl space? Perhaps the wire drops down and goes across the room or another room where it connected up to some audio equipment. Most likely to the other side of the room where it was possibly patched up and painted. 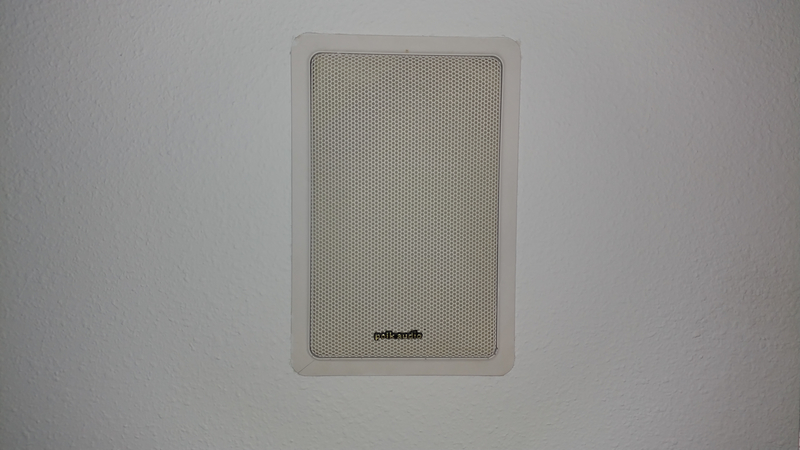 It’s pretty easy to pull the grill off without actually removing the speaker from the wall. 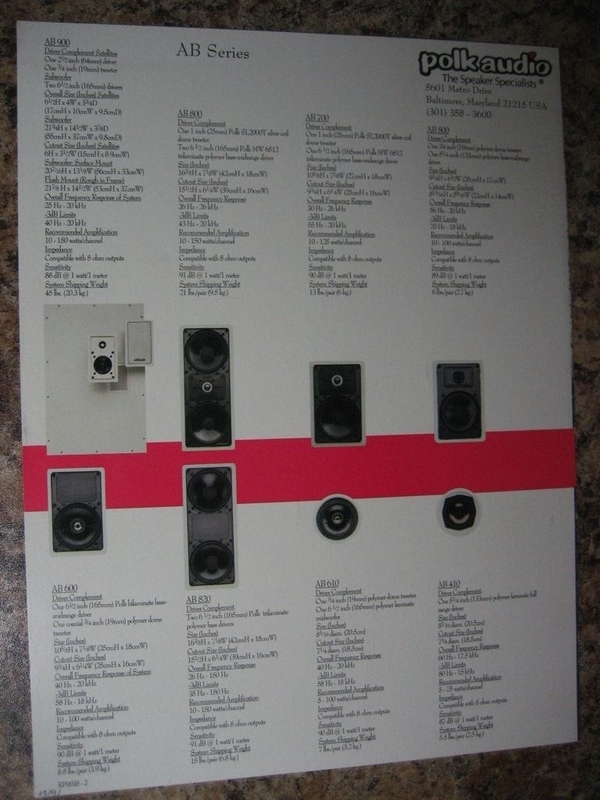 I have a set of rears that are somewhat similar and had the room wired up during house construction with the wires running in the ceiling across to the other side of the room but didn’t actually pull them through until I was ready to install the speakers. 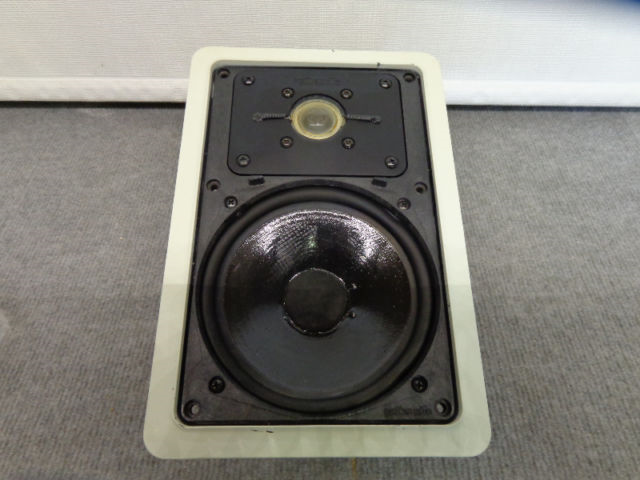 #1 you are going to need to run in-wall rated CL2 speaker wire. you homeowners insurance might void you if something happens and they see that radio shack wire. 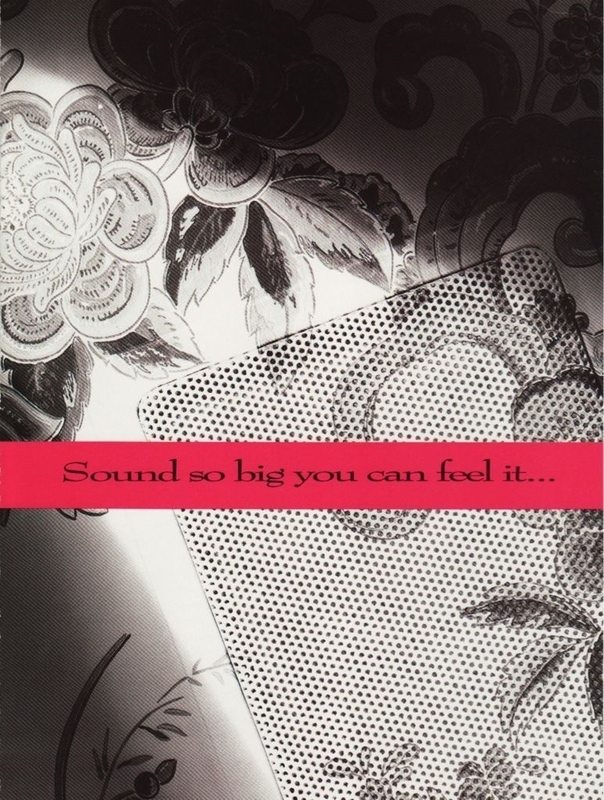 #3 Yes you are going to have to spend some money to get it up to snuff. Yes it does look like the must have cut the wires and covered the holes. Plain radio shack wire coming out of the wall it would not have passed inspection for the sale.